Hon. 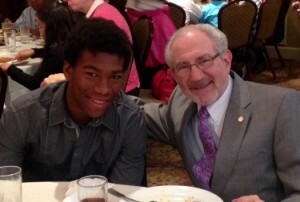 Ira B. Warshawsky participated as a mentor in the Nassau County Bar Association Student Mentoring Program. Attorneys act as mentors to middle school students selected by guidance counselors, meeting with them on school premises twice monthly for 45 minutes during the school year. The one-on-one program permits mentor and student to develop a rapport, and motivates students to set and work towards positive goals.